YMCA Camp Watchaug is available for Group Retreats and Rentals from April 15 to October 31. (Weekends only when camp is in session). Our flexible programs can provide an array of options for any corporate or local business. From a beautiful space for your company to have the annual family outing and picnic, to an intense weekend of team and partnership building, our Camp Director has may options for you to explore. We can accommodate any group size from just a few dozen to three hundred, just leave the creativity to us and relax and enjoy! Our Outdoor Center Program Application outlines the options and fees. Looking for something else? Call us at 401-364-6535 to set up a custom package. Family Picnic – Watchaug provides you and your business an affordable space to have your annual family picnic. Use of the waterfront for swimming, indoor lodge space, an outdoor grill and ball fields. We set you up, you just show up! Additional programs also include kayaking, canoeing, banana boat, water trampoline, climbing wall, zipline archery and much more! Team Building – Your office “team” or work group needs to function as a cohesive group. Immerse yourselves in a safe, fun and eye-opening experience for your team to further develop. Our holistic approach to team building and exploring new means of communication and interaction will allow your group to flourish in the work environment. We start with basic initiatives and continually build as your group progresses through low and high ropes challenges. Schools, school associations, booster clubs, school clubs and college organizations enjoy weekend programs and weekday events here at Watchaug every year. Local public schools venture out for a variety of activities from school recreation and picnic outings, to intense team building activities for college clubs. School Picnic – Watchaug provides our schools with an affordable space to have your spring school outing. 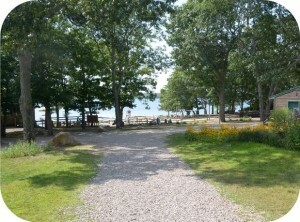 Use of the waterfront for swimming, indoor lodge space, an outdoor grill and ball fields. Additional programs also include kayaking, canoeing, banana boat, climbing wall, archery and much more! Team Building – Immerse yourselves in a safe, fun and eye-opening experience for your team or school group to further develop. Our holistic approach to team building and exploring new means of communication and interaction will allow your group to flourish. We start with basic initiatives and continually build as your group progresses through low and high ropes challenges.